Tripadvisor rates Playa Norte #7 in the top 10 beaches of the world. Once you experience the soft white sand beaches, scattered with palm trees and beach clubs, or the crystal clear turquois waters you wont want to leave. Every evening enjoy some of the most spectacular sunsets from Play Norte and the entire Bahia Mujeres side of the island. Even better take one of our sunset cruises and experience the magnificence from the water. Vacationers come from all along the Rivera Maya to snorkel the reefs around Isla Mujeres. Bring your own equipment or use that of a snorkel tour guide. Dont miss an opportunity to see MUSA, the light house and more. Ask us about booking a boat. Isla Mujeres Retreats offers you access to local properties available for rent around the island. Book Your Isla Vacation Today! With access to many boat tours in and around the island, whether you want a private sunset tour or an early morning trip around the island, talk to us about your options. Fishing is known to be an exciting sport. The reef and open water around the island provides ample catch. Join in the fun and book yourself on a fishing charter during yoru trip. Offering private or public tours you can snorkel 3 of the best reefs around the island. You can also book tours to Isla Contoy. Dont miss your opportunity to swim with all the reef fish. 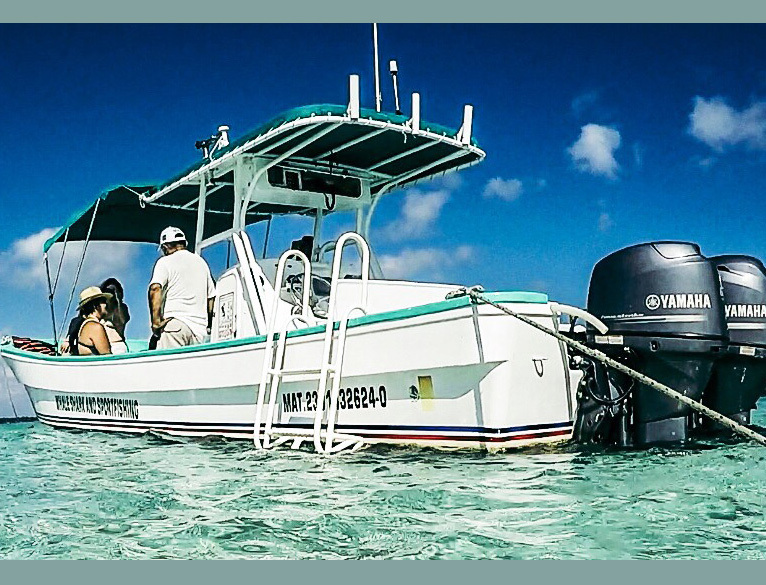 You and up to 5 people can enjoy a private snorkel tour. Leaving the marina in the morning or the evening for a sunset cruise, your cost includes beers, snacks and depending on the departure time BBQ'd fresh fish. Travel to 3 of the best snorkel spots on the reef around the island. Weather permitting! 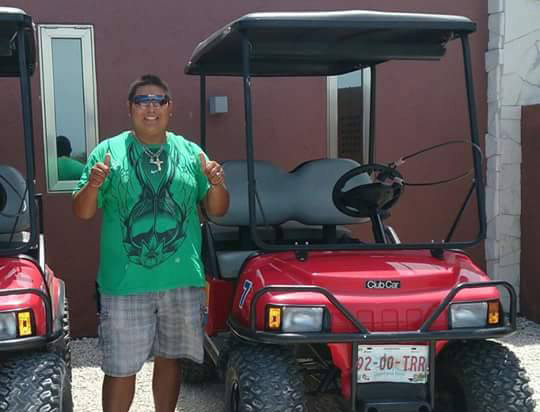 Get around the island and see all the secret hidden gems when you rent a golf cart. Dont wait until you arrive when all the carts will be reserved, especially in high season. We deliver to and pick up the cart from a location of your choice. Golf carts rent for 70 USD a day. Enquire about longer term rentals. One of the best parts about a winter vacation on Isla Mujeres is the opportunity to go out fising in open water. This trip includes beverages (cervesa - YAY!). 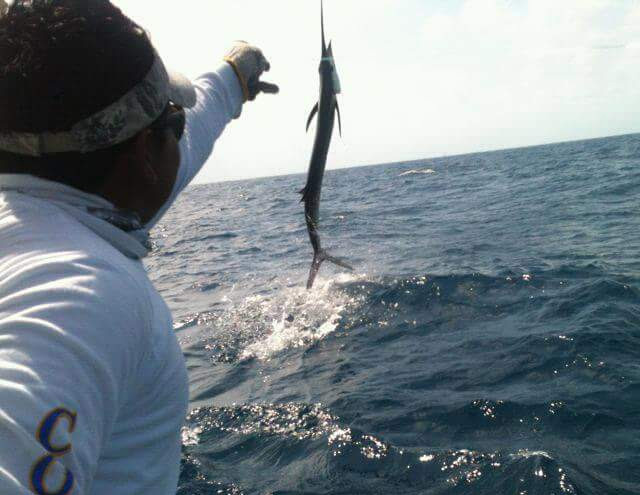 Out in the open water you can potentially catch king mackro, large sail fish, marlin (blue and white) and more. Sam's apartment is clean, easy to access and in a quiet, more residential part of Isla Mujeres. Sam was super helpful and communicative before and during my trip. I cannot tell you how much I am enjoying my stay here - the studio is perfect, it’s immaculate, comfortable and I have everything I need for my 4 week stay. We had an amazing snorkeling tour that took us all around the island. Would recommend it to everyone! Sam's place was exactly as described. Big space for a studio and we didn't miss a sunrise on the roof. Communication with Sam was fantastic, from the moment we landed in Mexico. He kindly had a taxi pick us up from the port. Our goal is to provide a great vacation experience personalized specifically to your needs. Whether it is finding the right accomodation to booking any of the incredible adventure tours around the island, we are here to help.